With the IH-111 instrument user can rapidly obtain several information about the contamination by the selective measuring of the beta- and gamma radiation of any radioisotopes of ﬁssion or activation origin. The principle of the process is the fact that isotopes having characteristically simultaneous beta and gamma radiation, both of those with short or long half-period, can be divided into groups as a function of their energy. The instrument compares the activity of the sample with relevant norms and determines if the foodstuff is consumable or not. Functions: rapid food testing in standalone mode; with PC and software package: isotope identiﬁcation, activity determination in samples. 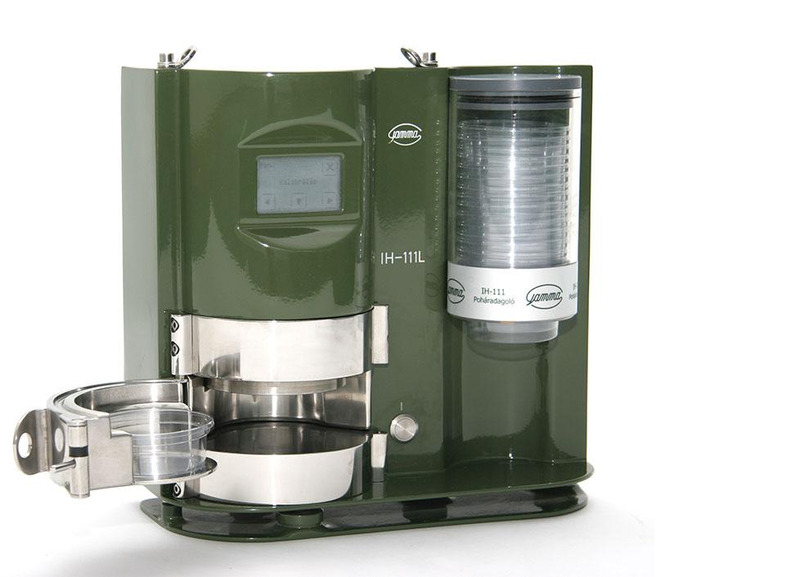 Features: easily transportable, built-in sample tray dispenser, automatic determination of consumability of foods and drinks following nuclear incident, simultaneous measurement of beta and gamma radiation, software package with programmable isotope library, simultaneous data acquisition and evaluation.